Glamis Commercial and its partners operates a portfolio of around 200 properties and acquires single commercial properties and portfolios with a view to enhancing value and increasing income. Glamis Residential operates serviced apartments, student accommodation and develops attractive affordable homes for sale or rent (Private Sector Rental). Glamis operates Provisio Funding who provides Joint Venture, hybrid finance to property developers and investors, offering high funding-to-value, often up to 95%. An experienced team with heritage and financial strength. 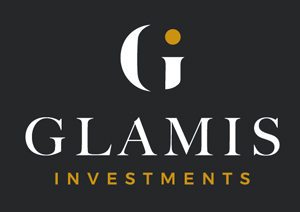 Glamis Investments Limited traces its origins to 1945. The company was incorporated in 1959 and is based in Dundee, Scotland.The Glamis team have successfully operated a diverse range of businesses since inception; from retailing, consumer and commercial lending, equipment leasing, captive insurance and travel to property development and investment. Glamis has a small executive management team supported by a back office of administrative and professional staff. Glamis also employs a range of non-executive management on a deal-by-deal basis including solicitors, accountants, and surveyors.